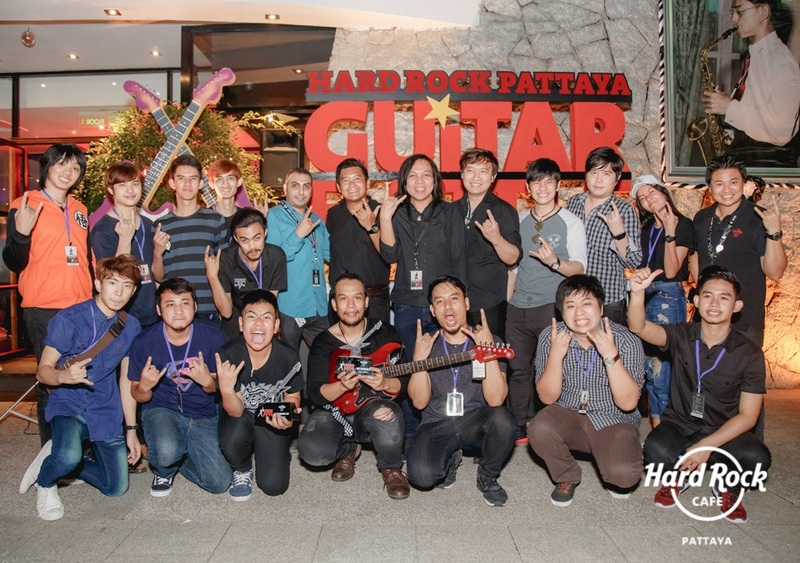 Hard Rock Pattaya in collaboration with Chord Tab staged their 4th annual Guitar Battle recently. 16 finalists fought it out in front of Thailand’s top 3 pro-guitarists judging panel: Pop Woravit Charoenponnapachai, Jack Thammarat Duang Siri, and Nueng Vinai Trinateepakdee. First place was awarded to Thanawat Warrawatchayakun who won a Yamaha PACIFICA 612 VII legendary guitar.